CHECK OUT JAPAN'S HOTTEST POP ARTISTS! The band SHARAMQ has not been active for the past year. SHARAMQ is a Japanese rock band. There are four people in the band; Thunku, Hatake, Makoto, and Taisei. Thunku is also a producer. He produces popular groups such the girls group `Morning Musume'. They became famous thanks to him. They won a competition to find a new popular group to target the general public. Thunku put the girls together and created Morning Musume. He is the owner of this wonderful group. However, for fans like me, we like to see him up on the stage best. He works hard to entertain us. If you haven't been to a SHARAMQ concert yet, go and see them by all means. The members of Yuzu are Yujinkitagawa and Koji Iwasawa. They are named Yuzu after Yuzu sherbet. The band was born on the streets of Isezakicho in Kanagawa in 1996. After their debut they gathered about 7,000 spectators for the street live which got people's attention. They just finished a gym tour in 1999 last year. Over 27,000,000 people in two tours. Yuzu has a radio program now. Let's listen to it! SPEED is a popular group from Okinawa. 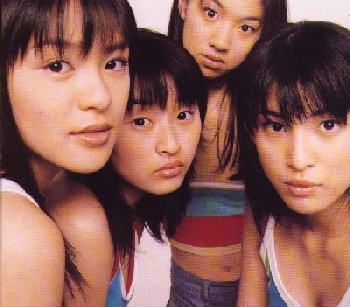 The members of SPEED are Hiroko Shimabukuro, Eriko Imai,Takako Uehara and Hitoe Arakaki. Last year, SPEED suddenly announced that they will breakup this March. This is sad news for their fans. Speed sold a lot of albums. For example, Body & Soul, STEADY, All my true love, my graduation, White love, and so on. The members of SPEED are also active as solo artists. They have appeared in a movie. When they held a press conference, Hiroko and Takako announced an association. This event has created a sensation for the public. Let's expect them to continue to entertain us after their dissolution. The band Judy and Mary has four members. They are Takuya, Kouta Igarashi, Kaito Onda, and Yuki. Yuki's fashion style is watched closely by young girls and boys. Judy and Mary broke up last year. But, they will release a new single on February 23rd. It's title is, Brand New Wave Upper Ground. They will also release a best album on March 23rd. It's great news for me! Arashi is the new face of the entertainment world. It's members are Aiba Masaki, Ninomiya Kazunari, Matsumoto Jun, Ohno Satoshi, and Sakurai Sho. Their first single was ARASHI. This song was used as the theme song of World Cup Volleyball. It is very cool!! Maybe everyone likes it. Now they are recording their second single. Their fans are looking forward to hearing this song. Glay released a new single Happiness - Wintermix on January 1, 2000. This song, which is a song on their new brand new album HEAVY�@GAUGE, went to number one on the charts right away. This song is also used as the theme song for a drama. 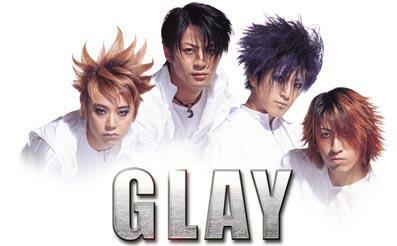 Glay is composed of four members. Takuro, who plays the guitar, makes good songs one after another. In addition to the high quality of their songs, each member's appearance is one of the group's most popular traits. Now they are Japan's top musicians and many people pay attention to them. They have been challenging new things so far as top artists. What wonderful things will they do this year? Where is the last station of everyone's sorrow? It is remarkable that private broadcast companies are presenting dramas which are pure love stories performed by impressive casts, and stories about heroes and heroines who are worried about jobs and love. TBS has a pure love story whose title is Beautiful Life. Takako Tokiwa plays a woman using a wheelchair and Takuya Kimura plays a beautician. The producer says that he wanted to produce a drama that was original and cool. He says that the dramas that we remember were not those which had a realistic story, but those which had great scenes and good music. On FUJI TV's, Burando, Miki Amai plays a woman who belongs to the fashion Industry and is worried about her job and her love. The theme of these dramas is a return to the basics. This may mean that many people are tired of hearing about the end of the century. Before the new year we watched a lot of suspense, horror, and serious dramas.